After making my first dive using this vest, I have one question: Why did I wait years to purchase something like this? 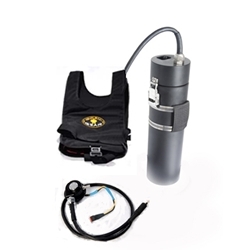 The vest, battery and low profile bulkhead connector is easy to install/use and worked great. I have only used it on two dives...so I don't know how durable it is. It works perfectly thus far. Simply amazing to feel that heat come on when you are finishing a dive in 45 degree water.